Prayer: Lord speak to me through your word this morning, show me part of who you are today. I have a confession to make. When I was younger we sang the praise song and hymn about the “Ancient of Days” in church, I had no idea that Ancient of Days was a name for God. I thought of the words as referring to a time before now. I was a little surprised that this was a name for God in the Book of Daniel. 9 “As I looked, thrones were placed, and the Ancient of Days took his seat; his clothing was white as snow, and the hair of his head like pure wool; his throne was fiery flames; its wheels were burning fire. 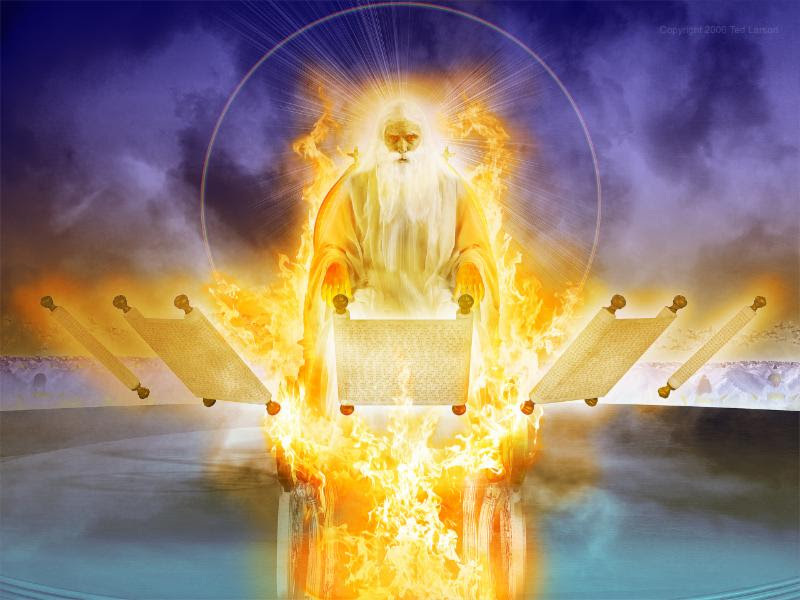 10 A stream of fire issued and came out from before him; a thousand thousands served him, and ten thousand times ten thousand stood before him; the court sat in judgment, and the books were opened. The meaning of the name: In the Ancient Near East the throne symbolized who was in charge (king) and who would determine what was right or wrong (judge). The ancient of days name reminds us who is really in charge and who really determines what is right and wrong. This description presents God as the perfect King and judge. The very term “Ancient of Days” implies that God is full of wisdom and that He recognizes everything for what it is, he has seen everything and knows everything. God sees our actions and our intentions and He Himself defines whether they are good or evil. He also has full authority over the world. He has been on the throne and in power over the world for generation after generation. The purpose of the Name: In the second part of this vision, the Ancient of days uses His power and wisdom to put the Son of Man in charge of the world! The description may sound familiar. 14 And to him was given dominion and glory and a kingdom, that all peoples, nations, and languages should serve him; his dominion is an everlasting dominion, which shall not pass away, and his kingdom one that shall not be destroyed. For us today: The vision of Daniel was written hundreds of years before Jesus’ birth. But, we now know that Jesus is the Son of Man from this vision. Jesus referenced himself as the Son of Man on numerous occasions (i.e. Matthew 9:6, Luke 9:22). In Matthew 28:16 and Philippians 2:9-11 we learn that “all power and authority have been given to Him”, just as was envisioned hundreds of years before. Jesus is the great king and judge and what He thinks of us and our actions is the most important thing in the world. Let’s be real for a moment, judgment to a broken and sinful people is a terrifying thing! Yet, Romans 8:31-34 reminds us that Jesus is not only our judge, but His victory on the cross has made Him our advocate! “If God is for us, who can be against us? He who did not spare his own Son but gave him up for us all, how will he not also with him graciously give us all things? Who shall bring any charge against God's elect? It is God who justifies. Who is to condemn? Christ Jesus is the one who died—more than that, who was raised—who is at the right hand of God, who indeed is interceding for us.” Our king and judge has taken on judgment for us, that we might be free to serve Him! How does the name Ancient of Days inspire worship? How does judgement associated with the name Ancient of Days cause you to pause? How does Christ as the Son of Man cause you to be thankful? Prayer: Ancient of Days, you indeed are the great King and the great judge of the world. Thank you for sending Christ to be judged in my place. Thank you that instead of living by fear I may live in bold freedom, knowing that Christ is not against me, but for me.